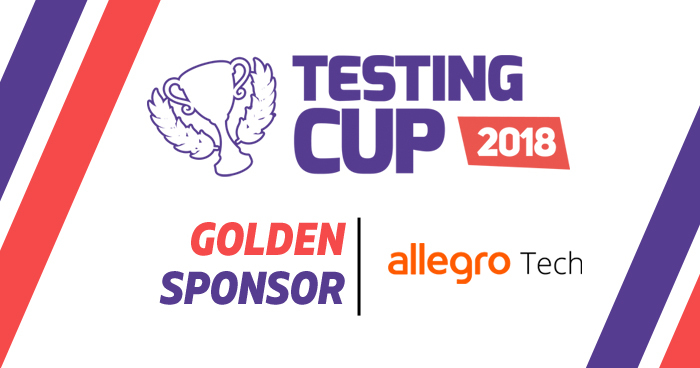 TestingCup couldn not be such an exceptional event if not our sponsors. That is why we are so proud to introduce to you our Golden Sponsor- Allegro Tech. At Allegro, they build and maintain some of the most distributed and scalable applications in Central Europe. This poses many challenges, starting with architecture and design, through the choice of technologies, code quality and performance tuning, and ending with deployment and devops. Through allegro.tech initiative they share their experiences with community during conferences, workshops, hackathons and public talks.